LET"S GO!. . HD Wallpaper and background images in the K-ON! 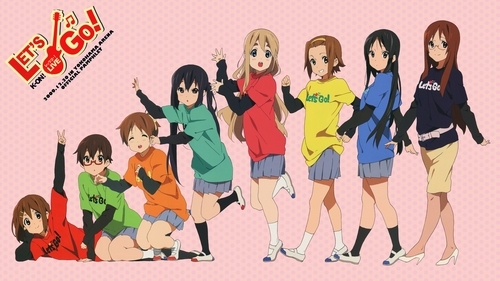 club tagged: wallpaper k-on! mio mugi yui ritsu azusa. I heard K-On! Let's Go! Live Concert Blu-Ray is the topest Blu-Ray in sale! Let's Go! Let's Go! Go!